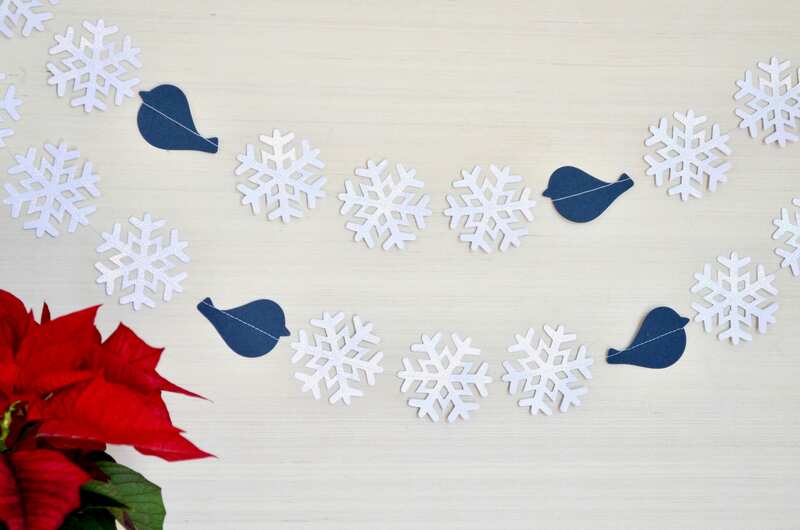 Redbird or Bluebird Snowflake Garland - sparkly winter snowflake banner with crimson red or blue birds. Custom colors available. 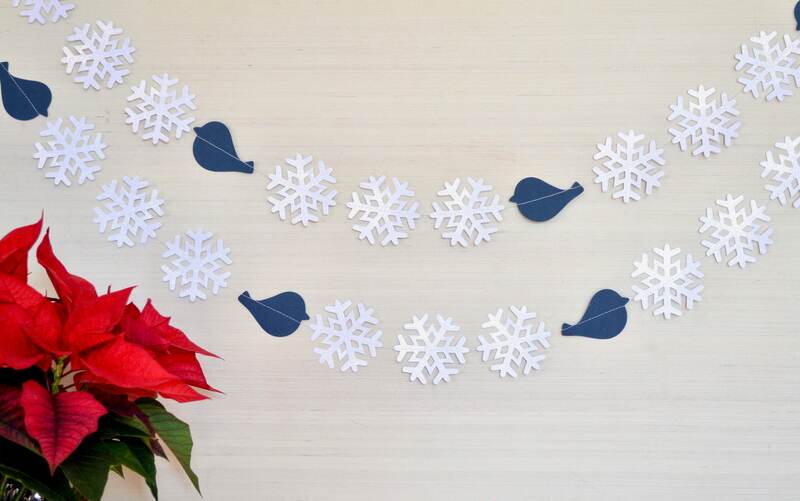 This cheerful garland celebrates winter! From the first frost to when the trees start to bud again, this garland is perfect. 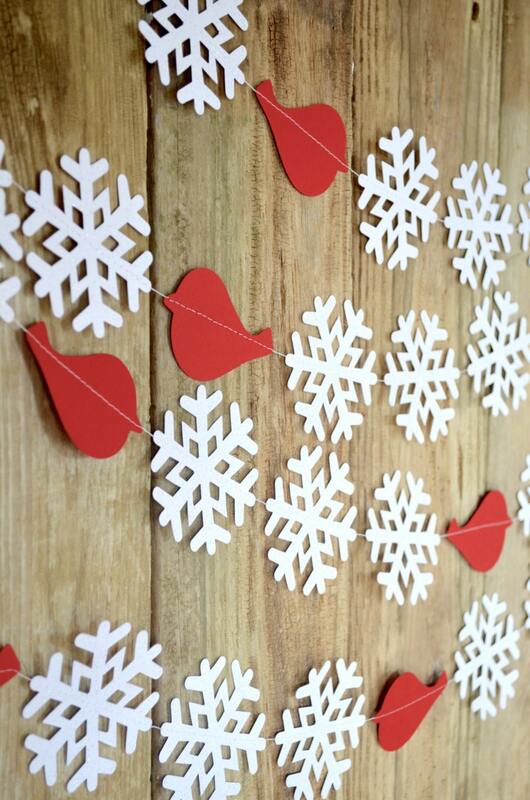 This snowy garland is made of red paper birds and sparkly paper snowflakes sewn together and would be lovely accenting a holiday wedding, party, or just about anywhere in your home! 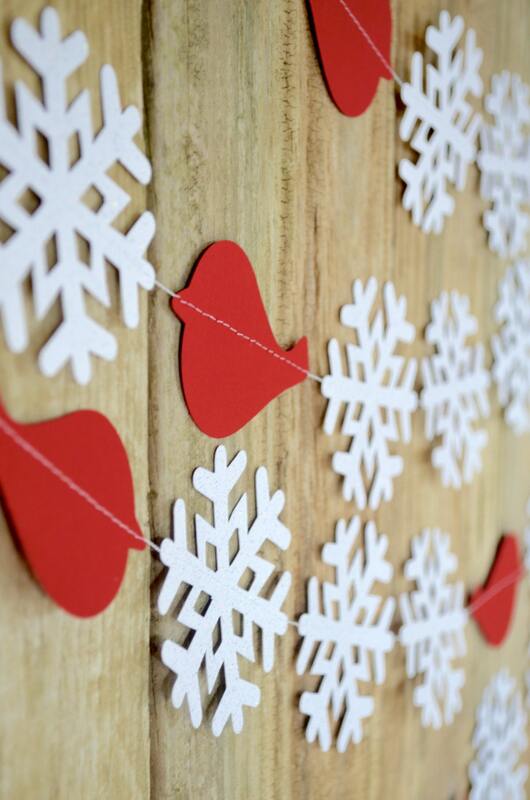 Made using heavy weight glittery paper snowflakes that we hand punched from white cardstock and darling red birds cut from heavy weight red cardstock, the garland is stitched together into a piece of bunting (you choose the length - either 10 feet or 20 feet, or request a custom length!). The snowflakes making up the garland are each about 3 inches across and there are loops of white ribbon sewn into the ends to use for easy hanging. 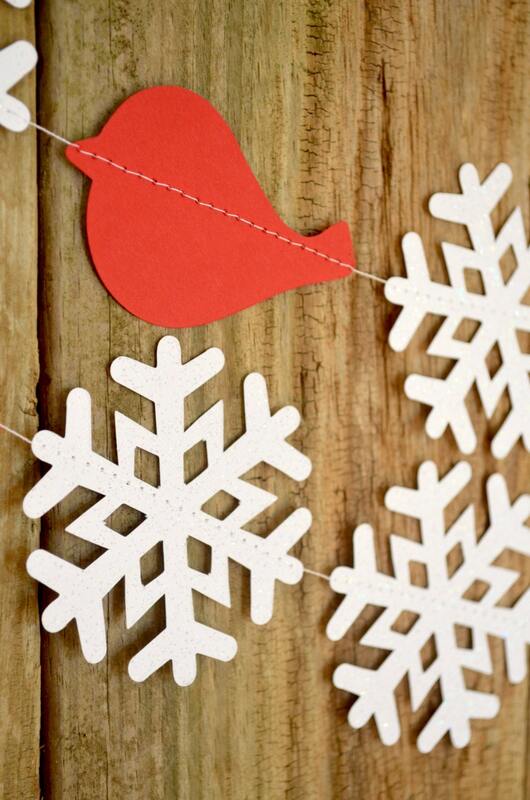 I love the red birds and snowflakes on this garland! It added such a lovely touch to our living room at Christmas. Thanks! The garland was carefully packed and looks the way I wanted it to! Gorgeous and well-made! Quick shipping. Thanks! Sweet banner,came very fast and packaged beautifully.Very pleased.